When it comes to our Ghanaian Celebrities, it seems Louis Vuitton is the only expensive brand they’ve heard off—some will argue that, because that is the brand with the most knock offs, they can easily access the fakies. It’s not only a Ghanaian celebrity issue when you talk about LV knock offs—because, Kim Kardashian, Rihanna, Justin Bieber and several millionaire celebrities have allegedly been caught with fake LV bags in the past. In Ghana, every celebrity is some sort of an unofficial LV brand ambassador; freely advertising the brand on their instagram pages, twitter and facebook as if they’ve been paid millions for that. 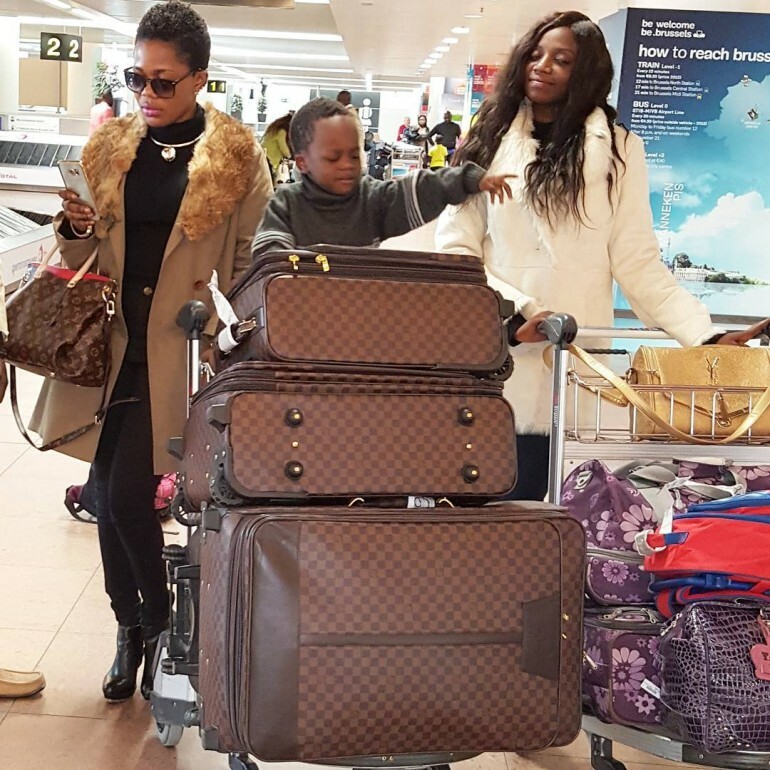 Yvonne Nelson used to lead as a true LV addict—despite speculations that her LV bags are all fake and that she even used to sell knock off LV bags at her small boutique in Accra. But over the years, we’ve seen almost every Ghanaian celebrity abusing the LV brand—and to be frank, we don’t think majority of what our celebrities parade are real, considering their financial standings. Actually, actor-Prince David Osei stated in an interview about 3 years ago that many of the LV bags carried by our Ghanaian Celebrities are fake. Therefore, we’ve put together a list of the various Ghanaian Celebrities who take the whole LV thing to an annoying level—and the question is; who are those with the real LV and who are those with the fakies? Fake LV bags and luggage awards goes to……… I rest my case. typing………………………………………………………………………. I DOUBT THE AUTHENCITY OF THEM ALL BUT THE FAKEST GOES TO AFIA SCHWA… FOLLOWED BY MZBEL.